West Ham have failed in their attempt to sign former Real Madrid midfielder Lassana Diarra on a free transfer. 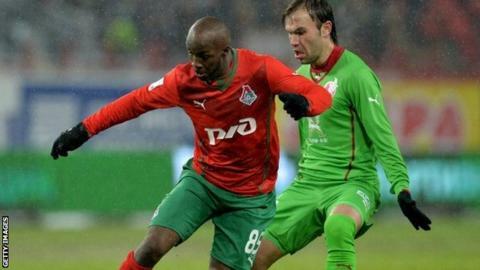 The 29-year-old was released by Lokomotiv Moscow in August and had been training with the Hammers. But asked about the move after the draw at Southampton, manager Sam Allardyce said: "That's not going to happen due to administration reasons." Allardyce blamed "Fifa regulations" for the collapse but said a deal could be possible at the end of the season. Diarra has previously had spells at Arsenal, Chelsea and Portsmouth - where he won the FA Cup - during his time in England. Missing out on his signature is a "real shame" according to Allardyce. "After all the work we've done to get a player of his quality with a lot to prove would have been a huge bonus for us," added the 60-year-old West Ham boss. Diarra won a La Liga title at Real Madrid in 2011-12 and the Spanish Cup a year earlier.